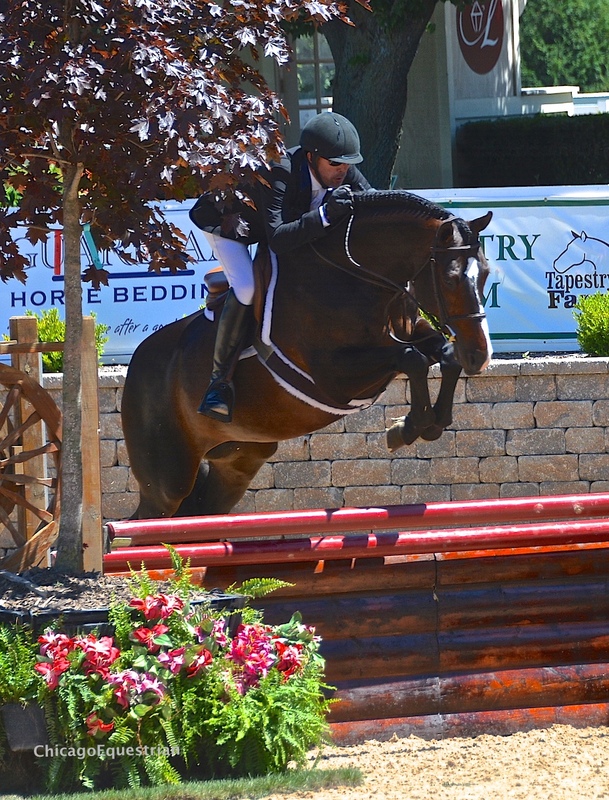 Tony Font and Copa Cabana 23 captured the $25,000 USHJA International Hunter Derby. Photo Chicago Equestrian. Wayne, IL – June 21, 2016 – There is something for everyone at the sensational Showplace Productions’ Derby Day. The entire day is a perfectly executed production, trademark of show manager Pat Boyle and his crew and one of the many reasons he has a large following of loyal exhibitors. 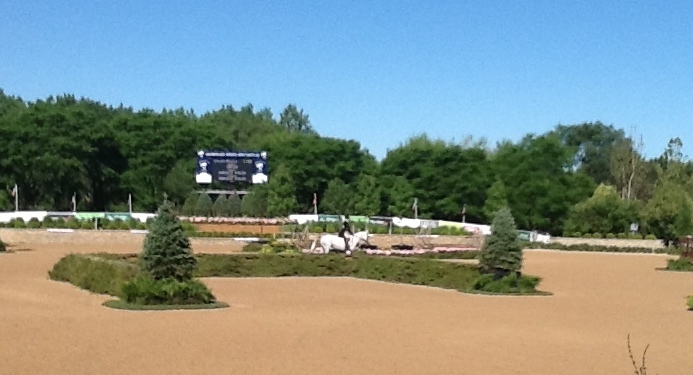 The day is loaded with fantastic food, derbies for ponies and children’s/adult riders, education, charity, a fun groom’s class, and the highlight USHJA National and International Hunter Derbies, kicking off World Championship Hunter Rider Week. His fans cannot wait to see these events take place at the new HITS Balmoral in 2017. 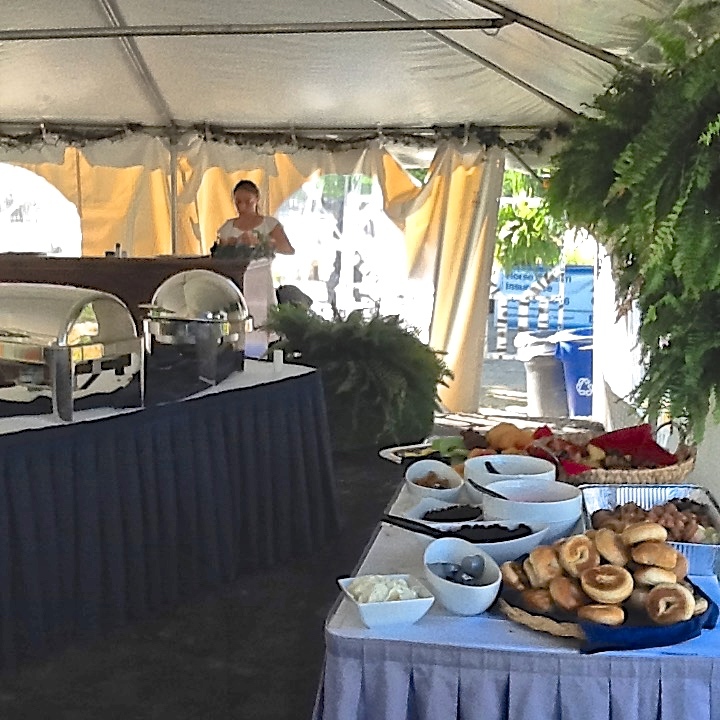 When exhibitors and spectators arrive, the VIP area is meticulously set with beautifully decorated tables complete with programs and a first-class breakfast, sponsored by Diane Carney, Telluride. 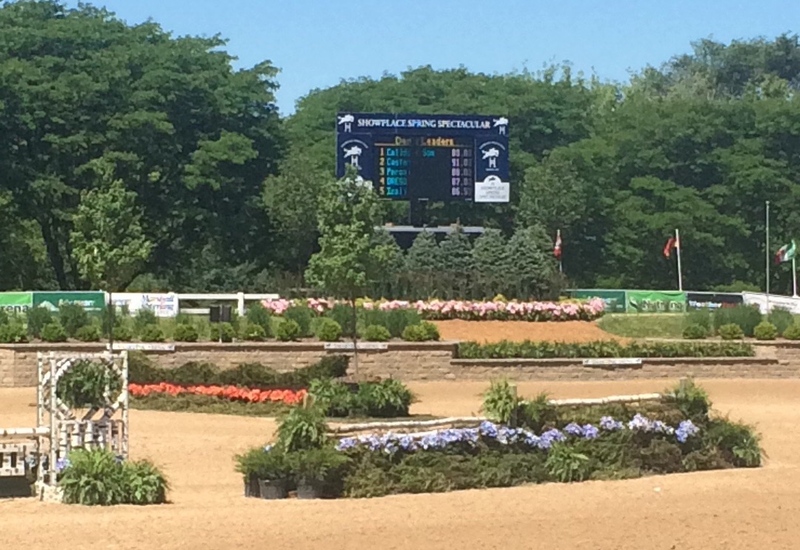 The main hunter ring is set with a beautiful derby course for the $2,500 Showplace Productions Pony Hunter Classic sponsored by the Markman Family and the $2,500 Children’s Adult Derby presented by Wisconsin Equine Clinic & Hospital. Topping it off, the Grand Prix Ring is transformed into a gorgeous hunter track with much attention to detail right down to the placement of flowers and brush at each jump. 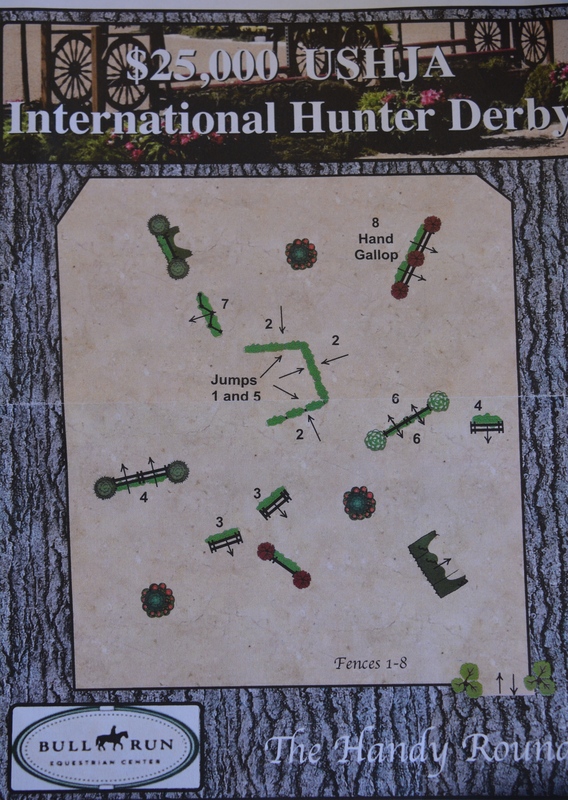 A brush square pen was set in the center with long run gallops to attractive natural oxers and creative hedges, making for great viewing by spectators as well as an interesting course for horses and riders. 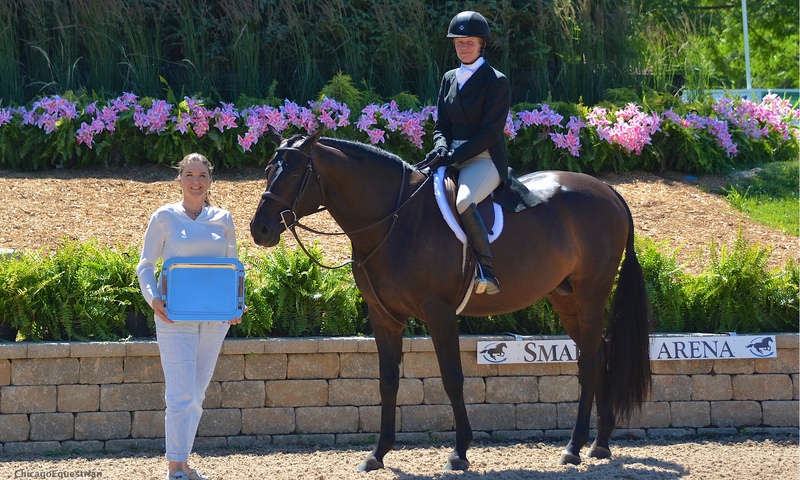 As if that weren’t enough to fill the day, Diane Carney, USEF R Licensed Official and judge for the 2016 ASPCA Maclay Finals and New England Equitation Championships, gave a clinic in the lower ring which included a course walk and then riding the course. This experience will help the riders that are qualified for the Showplace Equitation Championship on Sunday. Eager for education, equitation riders lined up to soak up the knowledge. Boyle’s daughter, Caitlin, esteemed equitation medal finalist and now rider on the Championship Auburn team, passed by to see the familiar drill, adding that she remembers preparing for the medal finals early on in the season as well. 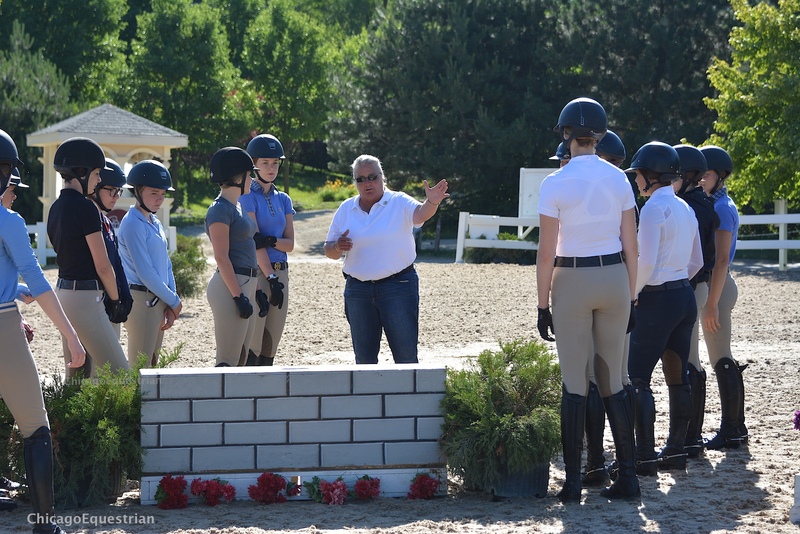 Diane Carney gave a clinic to equitation riders. Boyle is also known for is perfectly executed presentations. As each ring finished, Boyle was there to thank sponsors as they handed out crystal trophies, monogrammed coolers and championship ribbons prior to the victory gallop. A big day calls for big winners. Earning the biggest win of the day was Tony Font of Magnolia, Texas, who rode to the top spot in the $25,000 Bull Run International Hunter Derby, sponsored by Andrea Redmond Ferguson and trainer Lynda Zema of Bull Run Equestrian Center in Elburn, Illinois. Tony Font and Copa Cabana 23, owned by Claudia Ballesteros, were in second place with 173.5 behind Kelley Farmer and It’s Me, scoring 180 after the first round. 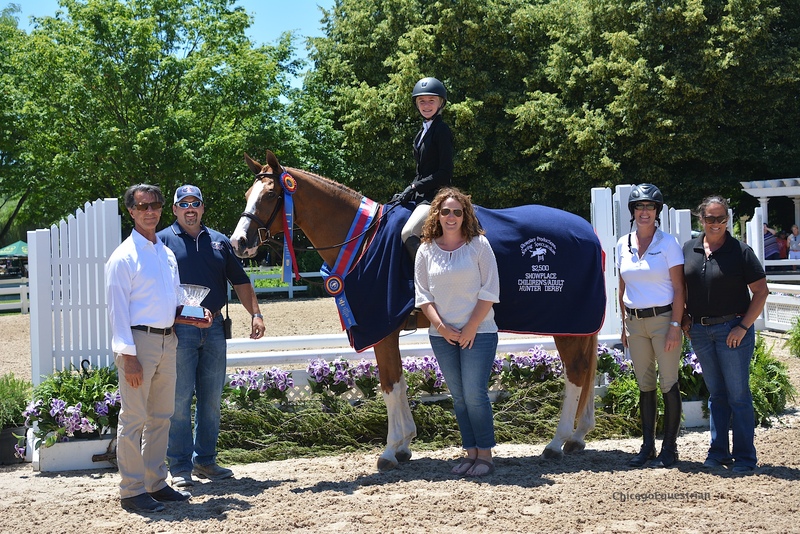 Bull Run sponsors presented to Tony Font and Copa Cabana 23, who took top honors in the USHJA International Hunter Derby. In the handy round, Font demonstrated that both he and the horse have jumper skills, scoring 89 and 90 with handy scores of 7 and 8 for a round total of 202, passing Farmer and her score of 191, winning by 4.5 points. Its Me and Kelly Farmer took the second place spot. Font and the horse have spent three years in the jumper divisions and Font thought he had a smooth way of going so he decided to let him do what he wants to do, be a hunter. Last year was his first real year as a hunter. This was his third derby; he won the International Derby at the Texas Winter Series in February. Point Being and Kelley Farmer took home third place. The handy round allowed riders to pick their options and show off their horses. Bill Rube from the USHJA Foundation was on hand to promote the new text-to-pledge phone app. Spectators can text the word Hunter to 91999 to make a pledge for the High Score Challenge. Anytime during the International derby a horse scores an 85 or higher, money is donated to the USHJA Foundation to support people and horses in need through grants. With plenty of handy scores soaring into the high 80’s and 90’s, it was a good day for charity as well. While making their donations, exhibitors enjoyed a great lunch during the National and International derbies sponsored by Gene & Georgetti and Michelle Durpetti. 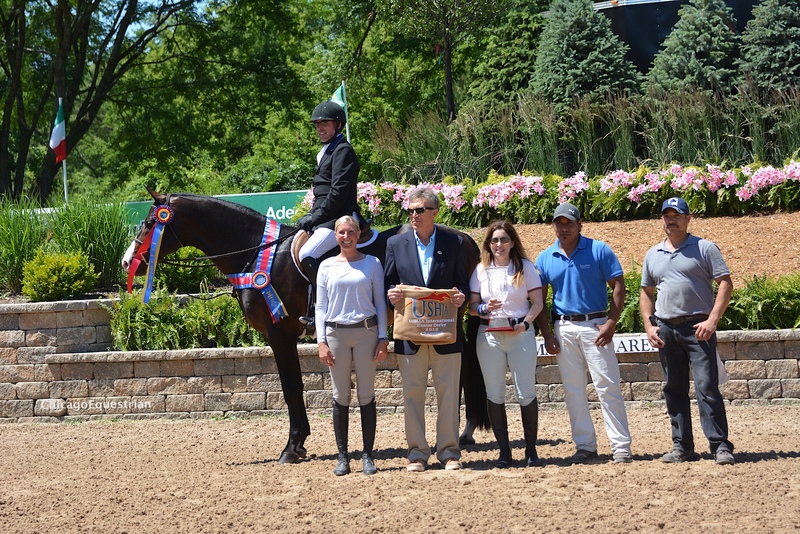 It was only fitting that Doug Boyd and Calido’s Son won the USHJA $10,000 National Hunter Derby since it was graciously sponsored by Sapphire Riding Academy in Mettawa, Illinois and both farm and horse owner, Mimi Rothman. Forty-nine riders competed in the classic round, going late in the order, with brilliant jumping style and hunter pace, Boyd piloted Calido’s Son to earn the highest score, 93, in the first round. Molly McAdow riding Caston and Elizabeth Woods riding Peroni, secured the second and third spot in the first round. Doug Boyd and Calido's Son with Ashley March, Bill Rube, Mimi Rothman and the grooms. All twelve riders took the four high options in the handy round, with only a few changes in the award orders after the first round. The top three riders held their spot with Boyd taking the winning spot with a total of 186, while second and third place award went to Molly McAdow and Elizabeth Woods, with scores of 180.5 and 179, respectively. Boyd has been on fire this year, making a comeback after some time off from the business. He rode Calido’s Son to the Grand Hunter Circuit Championship at HITS Ocala this year and was Circuit Champion in the 3’6” Performance Hunters. The champion horse arrived exactly one year ago today at this horse show and has done nothing but win. See the winning handy round. Molly McAdow rides for Galway Farm in Long Grove, Illinois, and was pleased with her horse six-year-old Caston, whom she proudly owns. This was his third derby and very special since McAdow’s parents were on hand to witness the event. They have always been supportive of her riding. 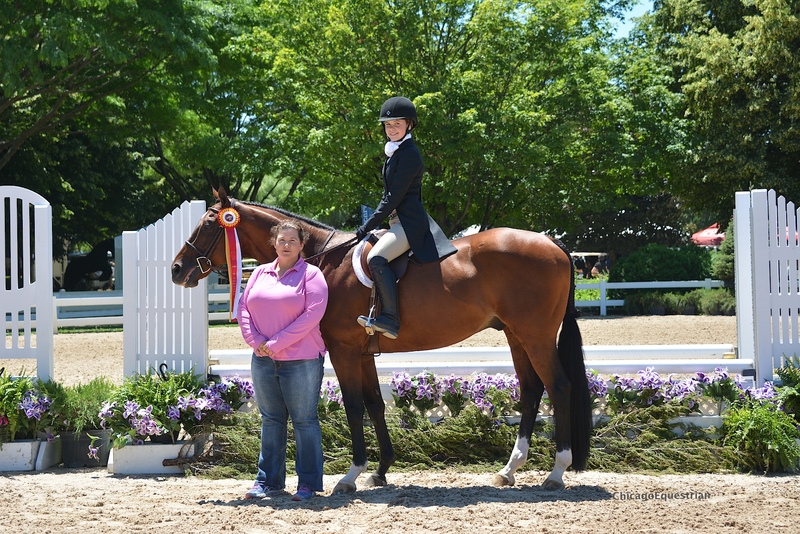 Molly McAdow and Caston finished in second in the USHJA National Hunter Derby. “I just wanted to be smooth in the handy round. I was so pleased with what he did in the first round I just wanted him to go in and be confident,” added McAdow. 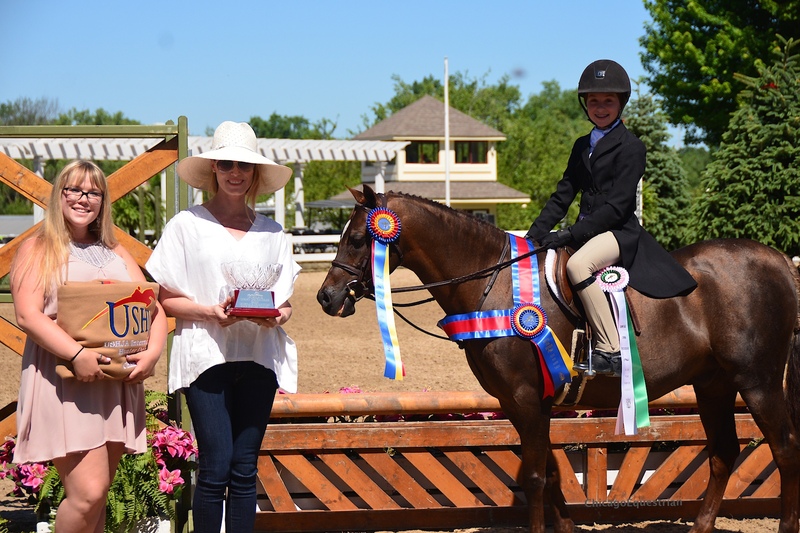 Meanwhile, the $2,500 Showplace Productions Pony Hunter Classic, sponsored by the Markman Family, took place in Ring Three with Saylor Shea and Lands End Eros taking the top spot over 22 ponies with a combined score of 175 for the win. 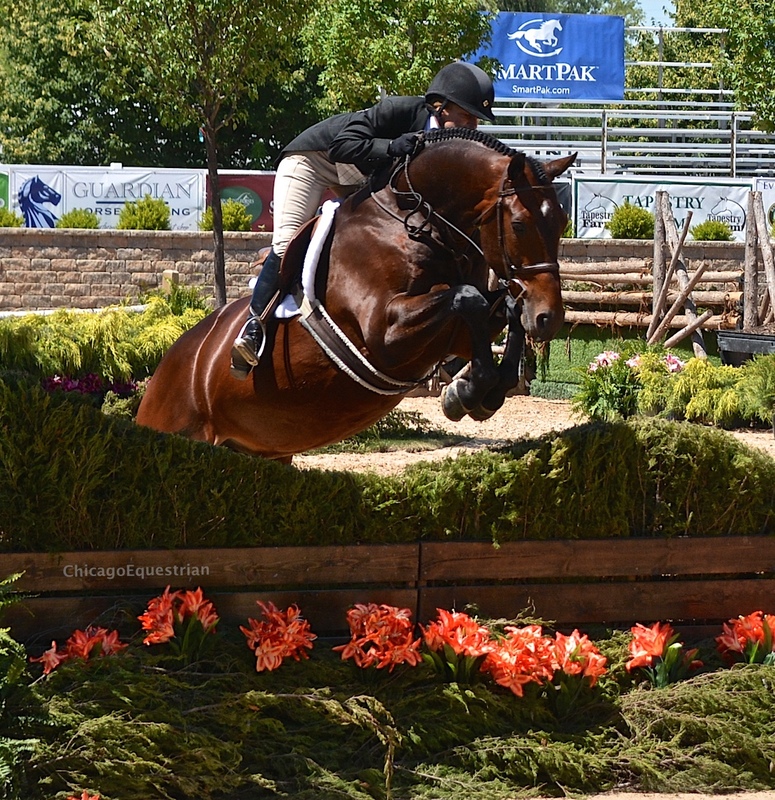 Saylor Shea and Lands End Eros took the top spot in the Pony Hunter Classic. “I want to get better in everything that I can possibly get better in,” says Shea of her future plans with riding. Shea also had a second ride on the pony Magical Diamond, taking fourth with a score of 159. Rounding out the top three spots were Olivia Markman on Benlea Mizzou with a score of 162 and Ashley Scofield on One In A Million right behind with 161. Hear what Saylor Shea and Hanna Eagan have to say about their round! 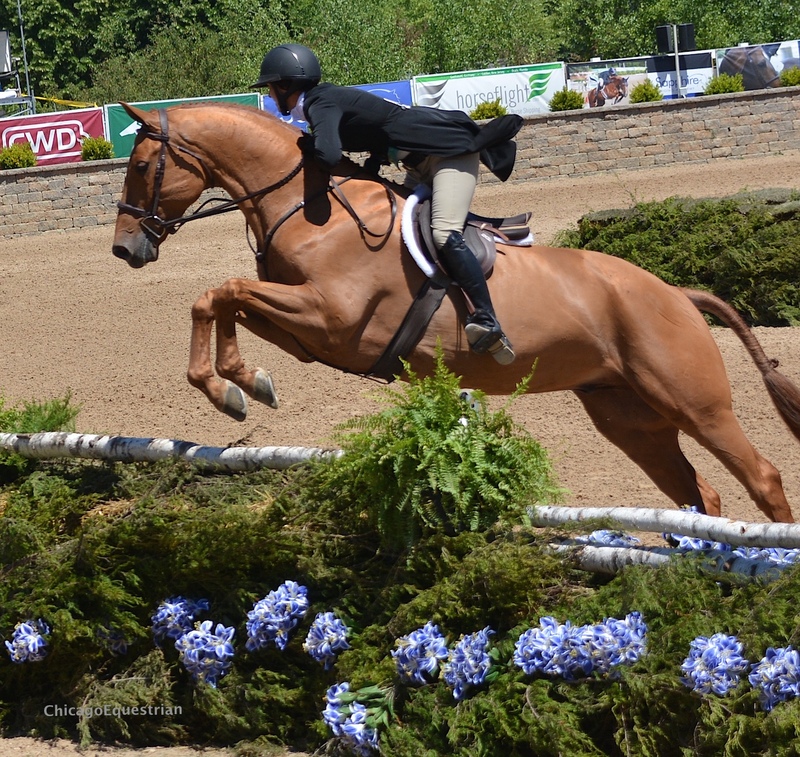 The $2,500 Showplace Productions Child/Adult Hunter Derby, sponsored by Wisconsin Equine Clinic & Hospital, featured 24 entries in the first round with a course that challenged riders with bending lines and tight turns. With a cut off at 69 points and top scores of 82, 83, and 86, 12 horse and rider pairs moved on to the second round of the derby. Leading the first round with 86 points, Emma Hayes, 11, and Ciao Bella of Judgment Farm continued their reign in the second round with another score of 86 points, bringing them their first place finish with a total of 172 points in the Hayes’s first derby. 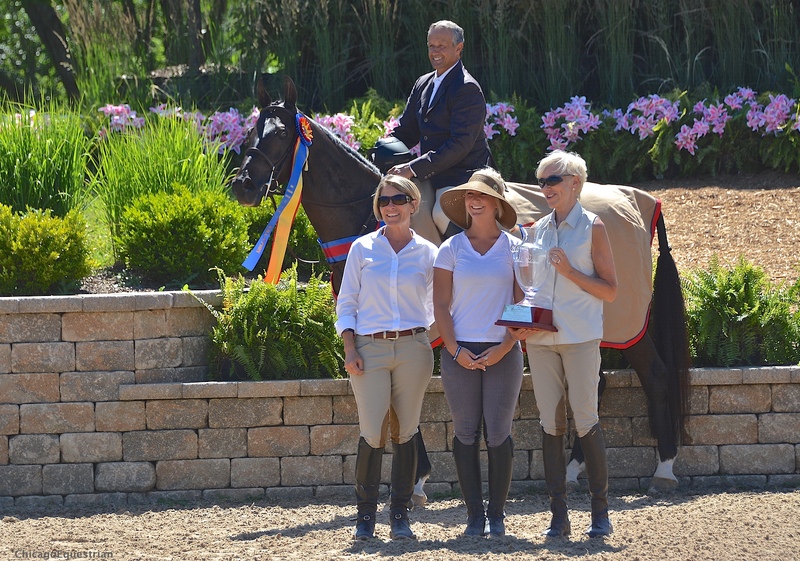 Dr. Baus of Wisconsin Equine presents the award to Emma Hayes and Ciao Bella with trainers Mark and Tina Boyle, Lori Hollands (far right) and Jennifer Hayes. “In the first course I was very nervous, and I didn’t know how big of a stride my horse was going to have…In the second round I was very calm,” says Hayes. 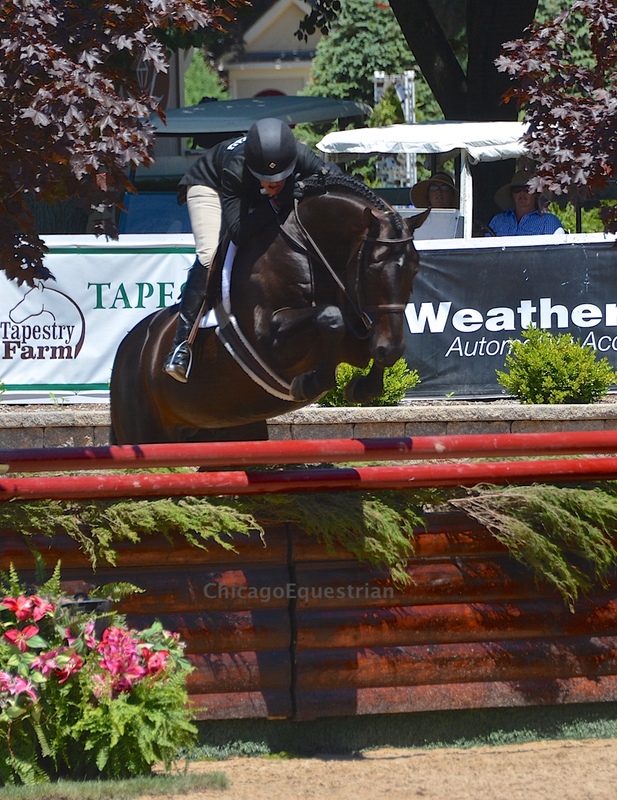 Katie Gilcrest, 14, and Kiss Me I’m Italian of Palladia Farm, finished the first round with the second highest score of 83 points and held their position at the completion of the second round in which they earned 77 points finishing with 160 points. Katie Gilcrest and Kiss Me I’m Italian with trainer Margaret Clayton of Palladia Farm. “In the second round I got kind of nervous because  was one of the highest scores that I’ve ever gotten on [Kiss Me I’m Italian], so I think I just had to remember just to stay calm and keep my shoulders back because that always helps when I ride,” says Gilcrest. Juliana Gulio and Meridiano came into third place with a score of 159 points earned from 77 in the first round and 82 in the second. Hear what Emma Hayes and Katie Gilcrest have to say to our interviewer! Exhibitors and spectators look forward to Boyle’s Derby Day each year, his special touches make all the difference. For complete results, visit www.showplaceproductions.com.